who is your fav member of vxoc and why? ok so lets have abit of fun, now this is not meant as serious so no getting upset if people dont mention you. 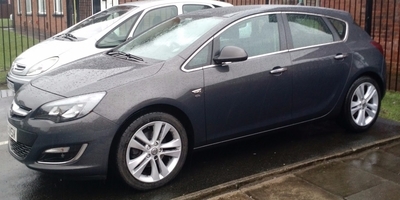 sheppy, he bought a poverty spec astra but has had the dediction to produce a high level luxury astra. rusty, the king of astra j information. now this is where it gets really hard, i have 5 or 6 names in mind but im going to say just one more. tucpal, the amount of helpfull hints and tips that this member has posted is amazing. no.2 now my next choice is easy. you know who your are haha. No 1 for me is Rusty & Tucpal, for setting up the forum we all love. Rusty is always on hand whenever I message him and has helped me no end. No 2 is Sheppy, recently got to know him more after our meet at Hartside and he's a spot on fella who is always willing to help others. No 3 is a difficult one but I'm going to go with a few here Jonathaneuk, Lacs1979, Nemo & Amy2910. As since I've started arranging meets these guys have become good friends and we actually now chat on a daily basis! 2. Tonto... Just a generally all round great guy! May not have the most mods on a car but he's very polite, nice to chat too and I enjoy speaking with him on here and also outside the forum too. 3. Tricky! There could be about 10 people in this spot including nemo, tucpal and many more! I'd have to say mrtc though.. Not just because he put me at the top of his list! Ha. But because he brings more to this forum other than just car chat and he really gets us all talking... It's needed sometimes to provide a break from some of the more car related talk. Great post too sorry for those I didn't mention! That's enough for me, You are not allowed to view links. Register or Login to view. you are the winner here. Spent loads of time chatting about the initial M072 research. Shout out to You are not allowed to view links. Register or Login to view. as well who I have a bit of banter with..... Also from my home town. Also some good chats with Andy about tuning boxes..
Can't remember the members name but the guy who helps with forum and server issues. Well 1st of all thank-you all. 1-3 has to be for all for helping the forum grow and making the forum what it is. I vote for everyone as well. Bars open and I'm buying as a thank you. Yeah sure. What would you like ? Current time: 23:rd-Apr-2019, 15:40:55 Powered By MyBB, © 2002-2019 MyBB Group.